Renewable energy organisation Pingala sold out of shares in nine minutes for its first community solar fund. 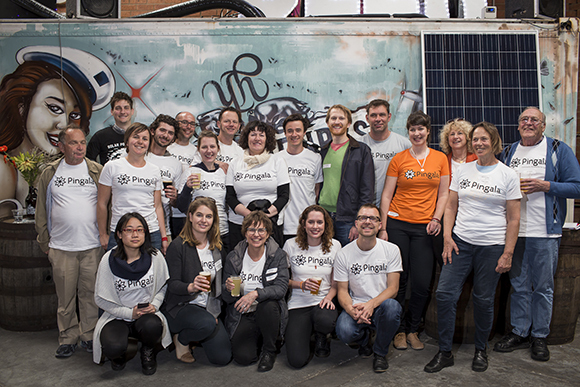 Pingala partnered with the environmentally-conscious Young Henrys brewery in Newtown, Sydney to build a solar farm on its roof, which will save an estimated 127 tonnes of greenhouse gas emissions a year. The newly launched Pingala Cooperative, which sits alongside the Pingala Not for Profit, allows the organisation to raise funds from member investors to instal solar panels on its partner businesses. “We then lease the solar to the business, so they pay us a fee to be able to use the equipment as though it were their own, and through that we get a revenue stream that allows us to pay our costs and generate a small profit,” Pingala secretary Tom Nockolds told Pro Bono Australia News. “So we’re offering our investors between 5 and 8 per cent… return on investment. But they’re investing in Pingala on an ongoing basis, so there’s no predetermined timeline for when investors get their money back, it’s totally up to the investors themselves to decide when they want to sell their shares, it’s much like buying shares in a company. While funds were crowd sourced – they were not sold through an online crowdfunding platform. More than 150 people attended an event at Young Henrys where investments were opened up. “We knew well in advance that we had way more people wanting to invest than we could actually cater for,” Nockolds said. “So [people] were invited to submit what we called expressions of interest. These were packets of shares worth $250 each. “People were allowed to put in one, two, three or four packets – up to $1,000 worth of investment into our lucky draw… and we ran it a little bit like a chook raffle. We simply did a lucky draw out of a barrel and the first 70 tickets that came out of the barrel were the lucky first investors. Pingala raised $17,500 to instal the solar farm. Nockolds said the next step would be to develop an online platform to run more projects, drive down costs and improve efficiencies to create a way for community members to buy micro packets of shares to support renewable energy projects in their local area. “We certainly believe community energy sits at the forefront of new-energy business models in Australia,” he said. 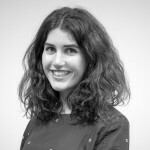 “Communities themselves are stepping up and realising that if the politicians and policy makers aren’t going to create the right environment to accelerate the renewables rollout, then they themselves can just get on with the job. He said the brewery project was a significant first step for Pingala. “Although this is only a particularly small project, what it is is it represents the first community solar lease product in Australia, it represents the first community solar cooperative fund and it represents the first crowdfunded equity community solar project,” he said. “For Pingala we have big ambitions, we want to become a major energy services organisation that’s delivering energy in a way which is fairer for the communities within Sydney and the disadvantaged communities further afield.